Throughout history, air pollution has been a problem. Not only smog but fumes from excessive coal use in households as well as dirty air released from manufacturing, mining and increased emissions from industrial processes. Respirators were invented. Londoners even coined a phrase, “pea-soupers,” because, since the 14th Century, London has been affected by thick smog. Because of poor air, civilizations learned to deal with air pollution by using respirators of different types whether basic or technologically advanced. 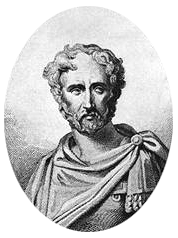 In the first century A.D., an inventor named Pliny, the Elder, utilized an animal bladder to protect Roman miners from inhaling lead oxide dust. Although primitive, his idea was considered the very first recorded respirator invention. In the 16th century, Leonardo da Vinci proposed using a woven cloth dipped in water over the face to protect against the toxic chemicals used in chemical warfare. Expanding on the need for protection of the industrial worker’s lungs, inventors offered other solutions in the centuries that followed. In 1849, Lewis Phectic Haslett invented the “Lung Protector” which allowed a mouthpiece fitted with two clapper valves and used a wool filter to keep out dust. The first U.S. patent, US 6529, for a “Lung Protector” was recorded in 1849 and was for a respirator that utilized one-way valves moistened with sheep wool to filter dust. In 1860, A Scottish chemist, John Stenhouse, decided to use charcoal in a wide variety of air-purifying devices. He invented the first respirator that captured toxic gases from the air. He especially wanted to protect firemen and first responders. As even more, innovative scientific minds gained interest in air purifying devices, a race occurred to develop respirators that could protect against a broader range of air pollutants, such as hazardous gases. In 1871, British physicist John Tyndall took Stenhouse’s mask, added a filter of cotton wool saturated with lime, glycerin, and charcoal, and invented a “fireman’s respirator,” a hood that filtered smoke and gas from air. Mr. Tyndall exhibited this respirator at a meeting of the Royal Society in London in 1874. Also in 1874, Samuel Barton patented a device that ‘permitted respiration in places where the atmosphere is charged with noxious gases, or vapors, smoke, or other impurities.’ The first to include rubber and a metal hood structure, the Samuel Barton Respirator had a filter located in front and two eyepieces made of glass. The metal canister design contained lime, glycerin-soaked cotton wool, and charcoal. In 1879, Hutson Hurd’s design improved on the design of the Haslett Lung protector and invented the design of the cup-shaped mask. The Hutson Hurd’s H.S. Cover Company manufactured these cup-shaped masks well into the 1970s. After World War I, the military became much more involved and developed an intense interest in the use of respirators primarily as a defense mechanism against chemical warfare. Because of the military interest and money, the advances in the creation of inexpensive, useful filters increased in the 1930s. The filters were initially made with resin-infused dust and were further developed using fine particulates of glass fiber that could eliminate particulate matter. The design of the filter helped with the breathing ability that was not inhibited by the filters. 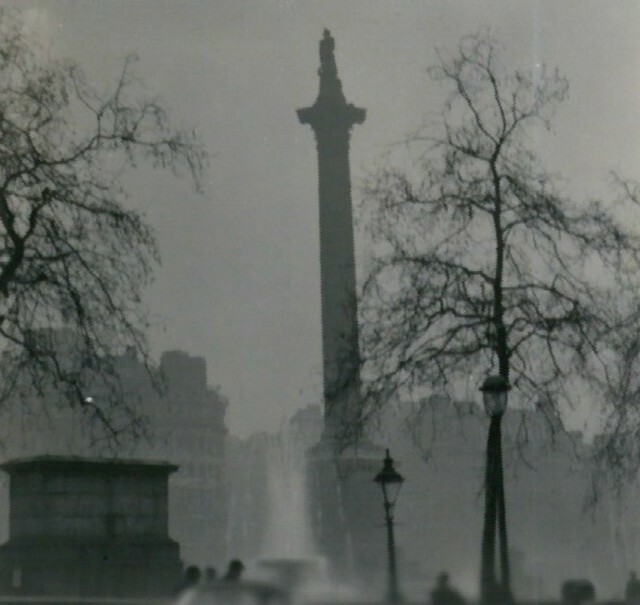 After World War I, the United States and the United Kingdom faced some of the worst air pollution cases in history. In 1943, Los Angeles, California (LA), long known for its poor air quality, suffered from its first smog incident. LA’s factories and massive vehicle industry were to blame for the smog. In December of 1952, the “great smog” or “big smoke” caused the city of Long to be engulfed in a thick layer of air smog which lasted for five days and resulted in 12,000 plus fatalities and 100,000 reported cases of respiratory illness. The smog was caused by the cold weather, lack of wind and the subsequent use of too much coal to heat the country. In 1965, the Army provided an Emergency Respirator that consisted of Lucite, machined channels and a cover place that was secured by screws or adhesive. The mask did not have any moving parts but did have an amplifier that air could flow through. The technology was developed by the Harry Diamond Laboratories which later became part of the United States Army Research Laboratory. According to the World Health Organization, the top three of most air-polluted cities in the word rated by Particulate Matter (PM) concentration are 1) Kanpur, India, 2) Faridabad, India, and 3) Gaya, India. Other countries have issues including Pakistan, Uganda, China, and Qatar. Global air pollution problems and continuing climate change will put pressure on developing countries and will allow more advancements in the use of respirators. The bigger the monetary fine, the more public health exposure, the more advancement of air pollution initiatives will continue. Labor laws, like the OSHA’s Respirable Crystalline Silica Standard standard for both Construction and General Industry, will become more refined to help protect workers. Because of the laws, respirators will continue to advance technologically. Respirator technology is becoming sleeker, and most people wear primitive forms of respirators, like surgical masks, for protection. Surgical masks only work for airborne viruses and not air pollutants. In Japan, young people have used surgical masks as a fashion accessory to not only cover the face but protect from airborne viruses. The human factor of respirators of the future will depend on comfortable fit, the mood of the wearer, and the actual protection the respirator provides, especially in an industrial environment. The need for raising awareness of protecting your lungs from air pollution continues to be profound. Surgical masks will not work to eliminate PM, and in industrial situations, specific processes should always have the employee where a respirator mask.